I consider myself sweet tooth- always looking for something sweet at the end of every meal. When it comes to desserts, I have tons of favorites (no surprise! :) One of them was this delicious Pumpkin Bar. My family made Pumpkin Bars pretty much every Halloween and holiday seasons. This year is no different, my beloved in-laws made homemade Pumpkin Bars as our sweet treat after kids trick or treating, as always every bite was scrumptious. So, today's recipe was inspired by my in-laws pumpkin bars. It taste so yummy that I have to share this recipe to all of you. This is one of my family's favorite bars and I hope it will be your next favorite too. 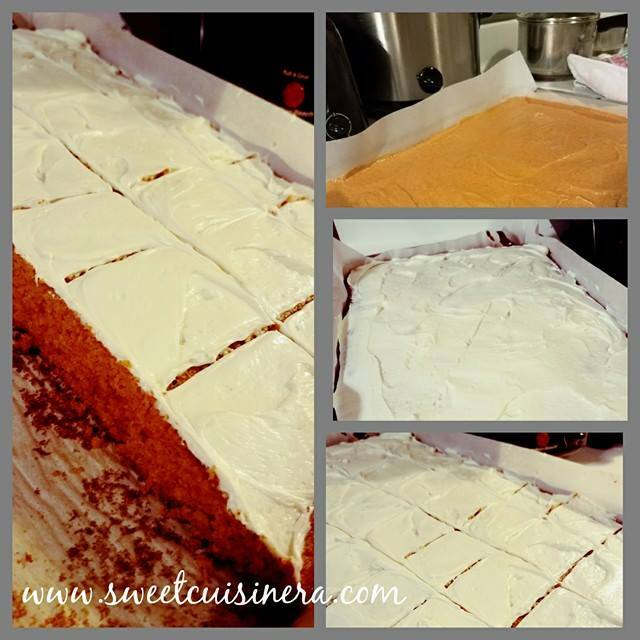 Indeed, this Pumpkin bars is perfect treat for everyone. A must-try recipe for sure! I hope you all excited as I am. If so, grab your favorite drink and all the ingredients needed. Lets get started, Shall we? 3.) Gradually add the dry ingredients into the pumpkin mixture and mix well. Pour into an ungreased 15x10x1 inches baking pan. 5.) Once the Pumkin Bars is cool completely. Spread the icing over bars. Store in refrigerator until served. 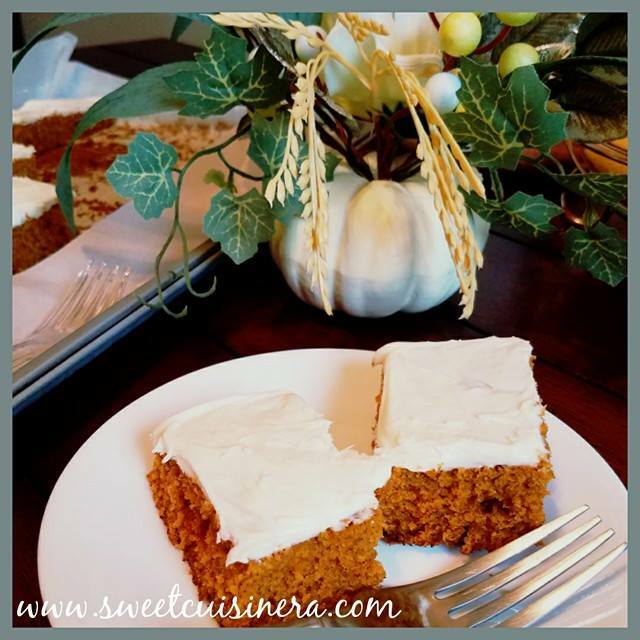 Share this pumpkin bars to your family and friends. Enjoy! It's super easy to make and taste delicious. A perfect bite of goodness indeed. 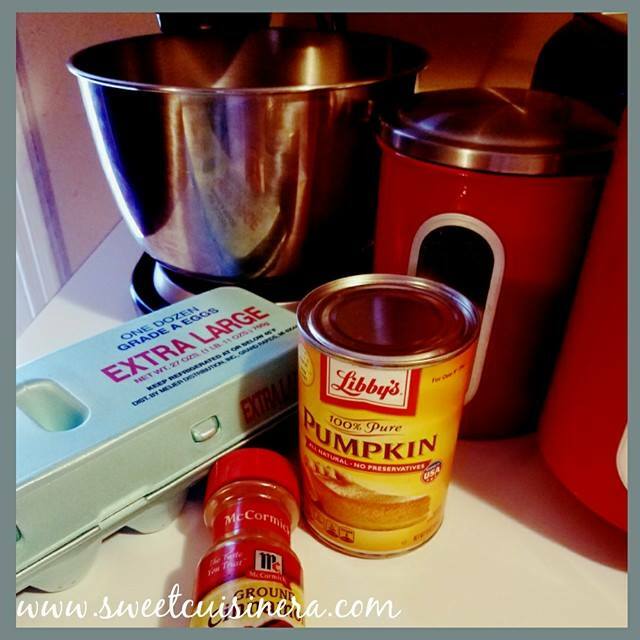 Now, that holiday is fast approaching this quick and scrumptious pumpkin bars dessert for the whole family is a must-have. I personally love this recipe and perfect for holiday. Yum! This would have been perfect for Halloween! But, any day is a good day for some delish desserts, anyway. Thanks for sharing. 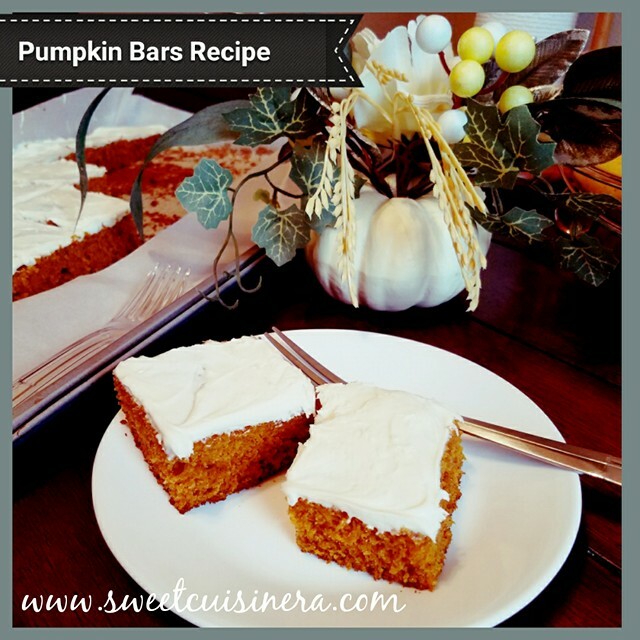 I would like to try this pumpkin bar recipe because of adding a healthy ingredient - pumpkin. I hope my kids will like them. Haven't tried baking anything pumpkin flavored. I wonder if they sell pumpkin puree in grocery store. Maybe I can check at S&R. This looks delicious though! Wow, looks delicious! Like you, I always look for something sweet after every meal too. Life is incomplete without desserts. :) I haven't tried pumpkin bars yet though. Hopefully I get to make some soon. Mukhang masarap 'to! Why does this remind me of mango float kaya? lol. I'm not sure if I've tasted pumpkin bars na before.